Discussion in 'Pin Trading' started by KJackson1195, Jan 20, 2019. Looking for missing oins for set. I have a few to trade. I'm looking to buy if necessary to complete set. Looking for ones that aren't crossed out on my list. tiggeriffic and TheMickeyMouseRules like this. I like this set but when I went to Downtown Disney the night of the release they were sold out. Does anyone know if they ever got more in? I like this set but when I want to Downtown Disney the night of the release they were sold out. Does anyone know if they ever got more in? Did you check world of disney? I had to ask multiple cast members, but found them they in stock behind the cashiers across from the plushes... Friday night (day after release.) The selling location was not intuitive at all. Can you move it? I'm not too familiar with how to do that. AGHH!!! I did go to WOD but I only checked the small pin area. I had no idea they would have them anywhere else, but thanks so much for the heads up for next time I go. 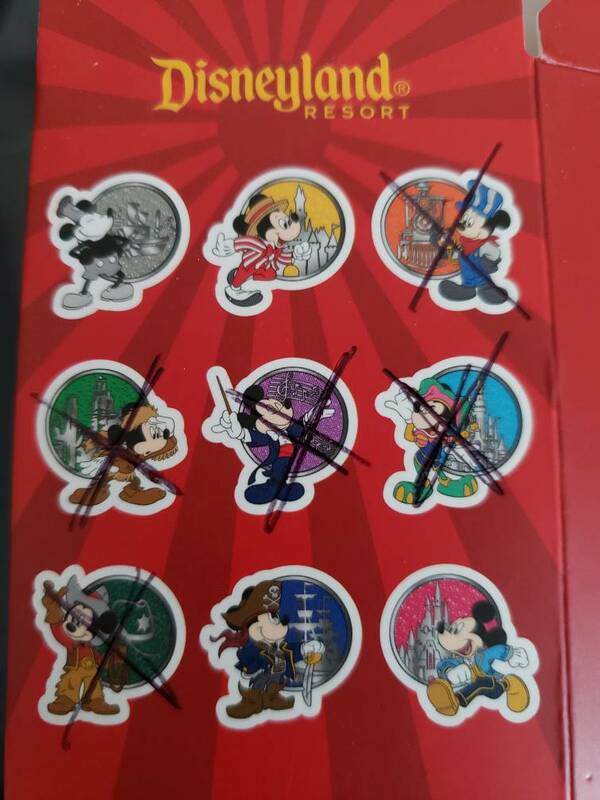 I'm looking for the Sorcerer Mickey one from the WDW set if anyone has one. hoping to trade first. thankies!! These 18 pins are up in pin pics. 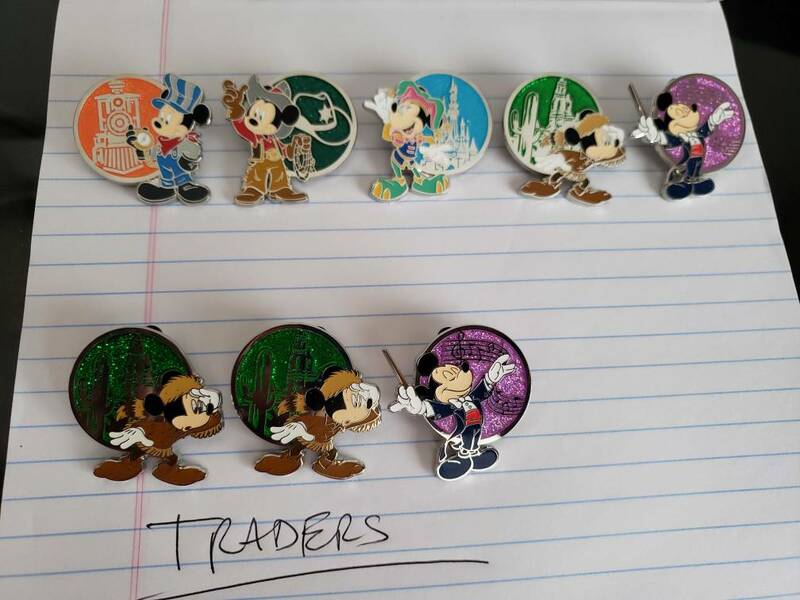 I updated my wants (4) and traders (4) in pinpics. Please check and let me know if anyone has any matches. I have the two bottom ones on the box as spares, but I am looking for the top three on the box to complete the series. I was at Disneyland in mid-February and was able to find a bunch of boxes at Elias & Co. in DCA. Not sure that they would still be there, but worth a shot. I received the final pin today! My set is complete. Yay! Congrats on completing ur set. Oooo… glad you are close too! Good luck! I hope so. Finding the last one has been hard. 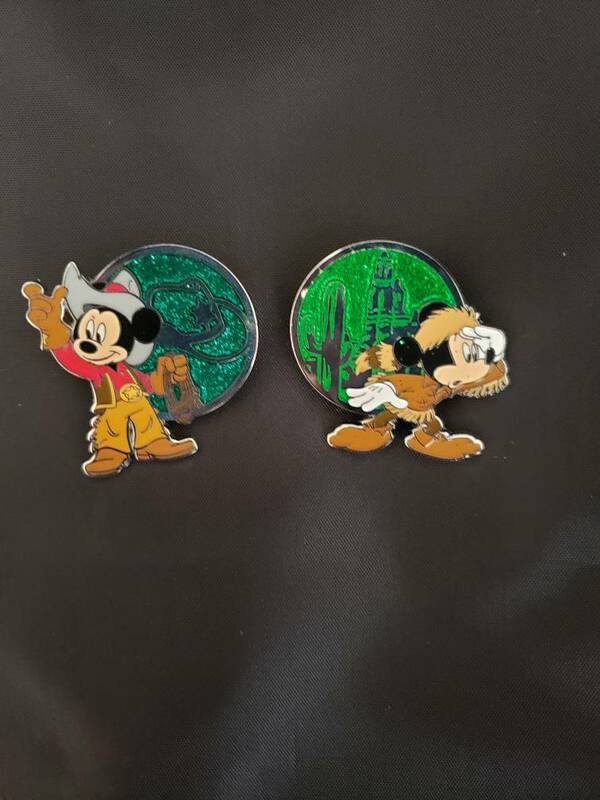 When you complete your set, if you have one of your frontier Mickey's left (#132537) and would like to trade it, please let me know. You need these 2 correct? Which one do you still need. Will keep an eye out for it.